Easter ~ "The Festival of the Risen One"
In 2019 the Festival of the Risen One or Easter Festival full moon occurs on Wednesday, March 20 at 6:23 pm PDT / 01:21 UT Thursday, March 21. To listen: Click or scroll below to read the words, and link from there to each of the audio programs. Note: These audio clips are in MP3 format. If you are unable to hear them when you click the title below with the words given, you probably need to set your preferred application within your browser. And, if your browser creates an interfering window when you click to listen, you should be able to bring this text window forward to follow the words, while the clips play. Two recommended softwares are available for download by linking to them from here: Quicktime and RealPlayer. There are three major festivals on this planet which form the spiritual high point of the year. These occur in the spring. The first is the Festival of the Risen Son [Sun] or Easter, which is celebrated in the western hemisphere at the Aries full moon. The second is the Festival of the Wesak or the Buddha and is celebrated in the East at the Taurus full moon. The third is the Festival of Goodwill which occurs at the Gemini full moon, and celebrates the spirit of humanity, which is dedicated to right human relations and aligns itself with the will of God. These three festivals can be a means of achieving a great spiritual unity throughout the planet. This Festival of the Risen Son [Sun] is ages old and goes back to a time when after a long, dark, cold winter, we welcomed the warm, golden sun. Just a nature is quickened by the inner spiritual sun, which enables us through love, faith and discipline to rise above the difficulties of our physical life. As spring adorns the Earth, it's easy to observe through nature the wild and relentless power of Life. At no other time in the yearly cycle is this wave of Life as evident as spring bursts through every possible medium ~ every seed, every bud, adding to each life. The beginning of spring coincides with the Sun entering the sign Aries, the herald of which is the Vernal Equinox. 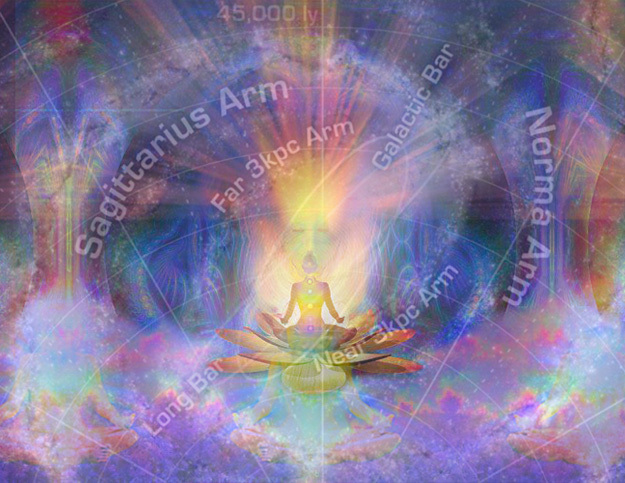 * The first degree of Aries announces the procreative power of Spirit as it penetrates the bosom of nature, awakens new life, and sets it in motion. This is the power of spring wherein the essential substance of earth awakens to renewed activity under the impact of divine desire, impelled by the divine Spirit, the breath of life itself. The first impulse of Sprit towards life is awakened at this point; the idea to manifest in a physical body takes place here. Aries is the creator of those activities, conditions and processes which lead to the manifestation of soul through the medium of form. Aries brings to our earth fire, and the dynamic nature of God which has in it the qualities of fosteriing and nourishing heat and also of the fire which burns and destroys. The life-giving fire awakens the spark of life in the seed, which lies dormant in the winter. The seed, in order to produce its unique offering, must die to itself first, that the tender shoot may burst forth from its pod. It is the law that always new cycles of being and of consciousness are precedented by conflict and death. Aries, the birthplace of divine ideas, is concerned with the initial impact of energy upon form or of energy upon the soul. The secret of spring is the secret of beginnings, of cycles and of emerging opportunity. Be like the tender shoot now. Feel the fresh new life flowing through you and reach towards the sun of your being. at one with all creation. Opening to this consciousness, we enter into the Supreme Mystery. Take evil and make it good. Take death, and make it life. As a great being, the Christ is One who overshadowed Jesus of Nazareth. He is the great avatar awaited by so many. He is Mohammed, the Messiah, and Maitreya Buddha. He is the Hindu god, Krishna. He is the Risen One. In its ancient meaning, the Missiayah was not a person. It was an energy field, a consciousness, that every 2000 years entered the earth plane. If the earth were ready to receive this energy of expanded consciousness, it would "alight" upon this plane, and human consciousness would begin to expand in order to embrace it. If the earth were not ready, it would come again 2000 years later. The spiritual traditions which speak of "ages" say it takes the full 2000 years for the new, entering energy to be fully integrated on this material plane. What came in 2000 years ago at the beginning of the Piscean age is only now being consciously accepted in any broad manner. What entered was Agape, brotherly and sisterly love. Love beyond ownership or possession, love of one human being for another simply because they are worthy of love and are a valued part of humanity. It was this energy that Christ brought to our world 2000 years ago, changing the course of human life forever. In our time we have entered the birthing stage of the Aquarian age. All around we are feeling the urge to prepare ourselves for something very new. As the labor pains of birth increase and quicken, there are those who are called from within to strengthen and share love for all beings beyond the differences which have divided us. It is hoped by the year 2000 A.D. those who can do this will form the critical mass of love energy that is needed for the next infusion of the Missiayah to enlighten Earth. This time the message is not only "you and I are brothers and sisters," the new understanding prepares the way for the truth that the concept of "other" is a great illusion. You and I are really of one consciousness reflected in an infinite rainbow of seeming difference. Behind this illusion, we are ONE. Everyone. No one is excluded. As we embrace the wisdom of the preceding ages, we simultaneously prepare our world for the newness that awaits. We will learn to love one another, to give love freely. We will learn to be Love. Only one's supreme spirituality is stronger than that which would hold or bind, and only one's supreme love can change its nature into that which does not hold or bind. Only now can a pledge previously taken be said in the heart, "I will love." One no longer desires love, or asks for love, or looks for love. One now gives love. In a moment of crisis with the words, "not my will, but thine be done," divine will is anchored on earth. This will is expressed in right human relationships, in all fields, in politics, the arts, economic expression, social living, science and religion. With the help of each of us this thread of divine will can become a cable of ascension for humanity and of descent for the loving, living spirit of God. My petals spread upward to the Sun. My roots dig deeply in the earth. And sing many different songs. How blessed is the student, how wise the teacher. published by Lucis Publishing Co., 120 Wall St., 24th Floor, New York, NY 10005.